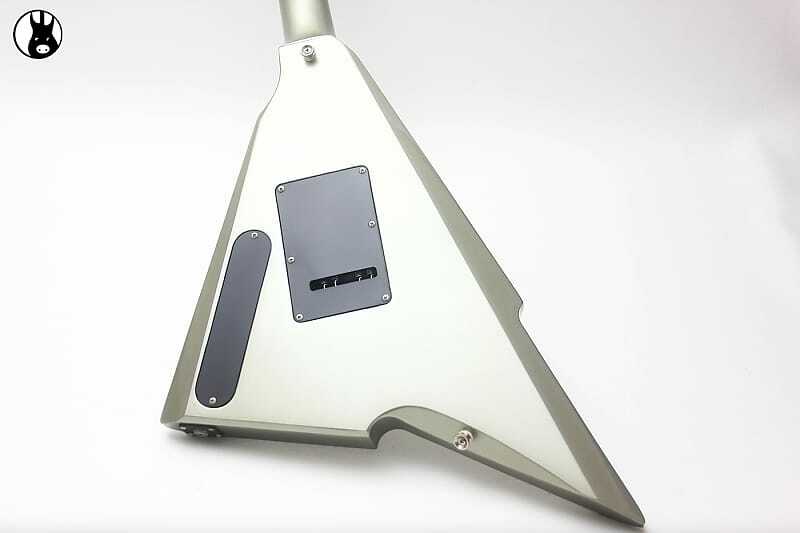 Possibly the oddest guitar to come from Fender is the Katana. 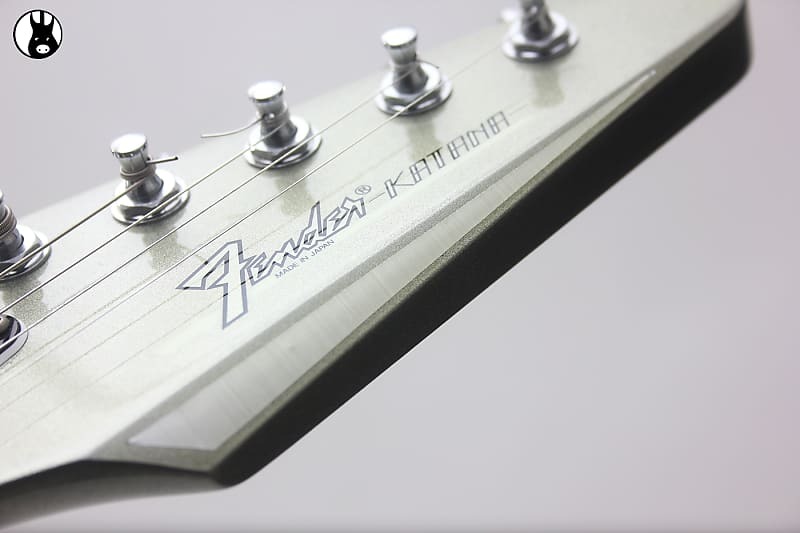 It was manufactured in 1985, which was one of the years that Fender had no domestic production. 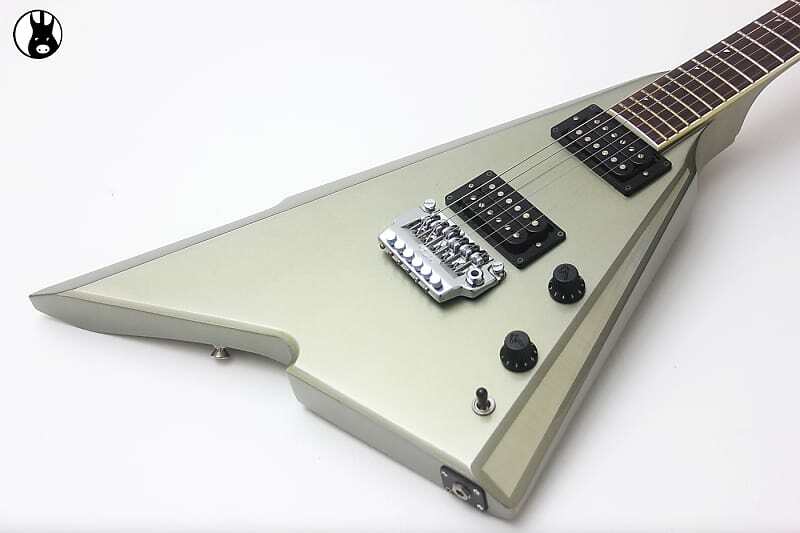 This guitar was designed by the marketing director of that era, Dan Smith, and built at the Fender Japan factory. 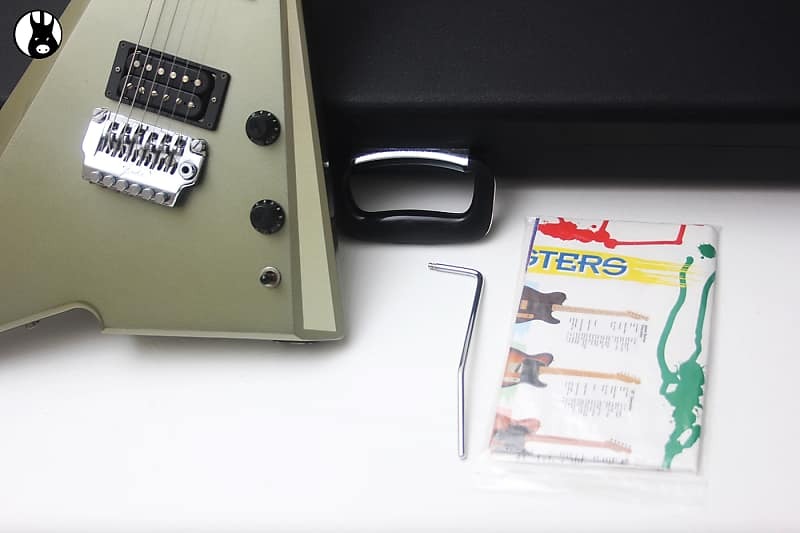 The 1980’s were the era of “hair-bands” and shredders. 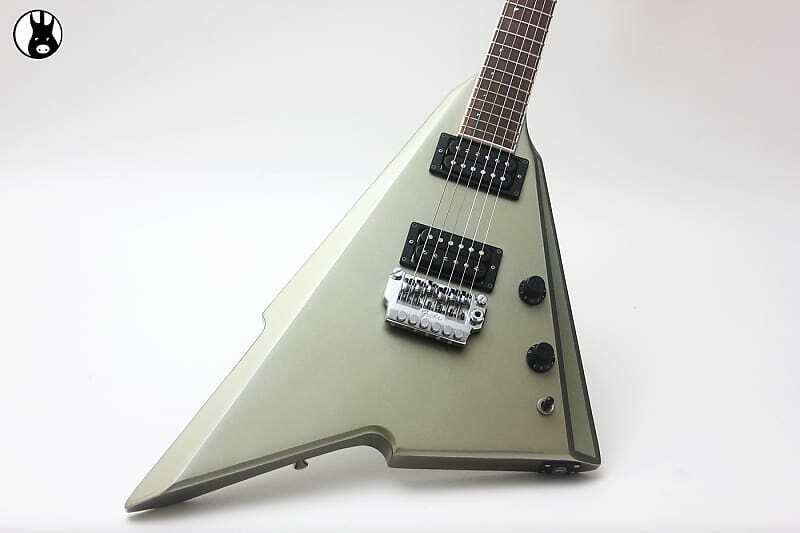 Jackson, Dean and Kramer guitars were selling modified super-strats and super-vees, such as the Jackson Randy Rhodes model. 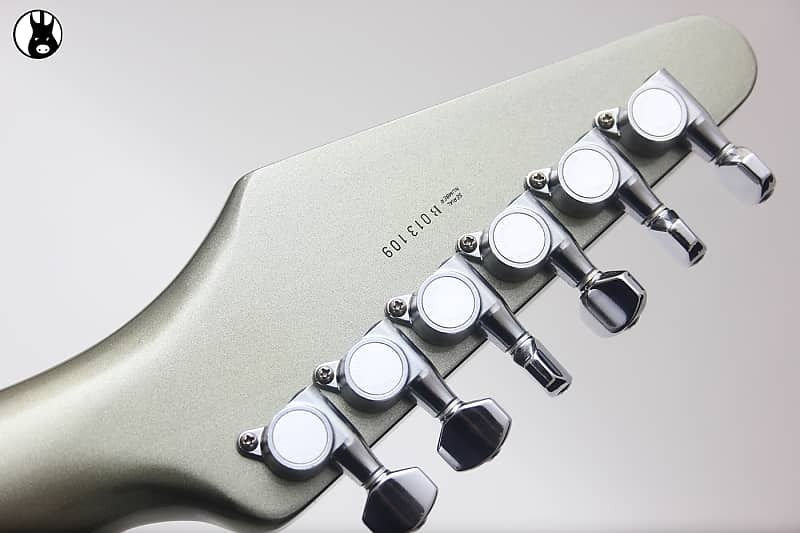 Fender dealers were looking for Fender to come up with something comparable to these popular sellers. 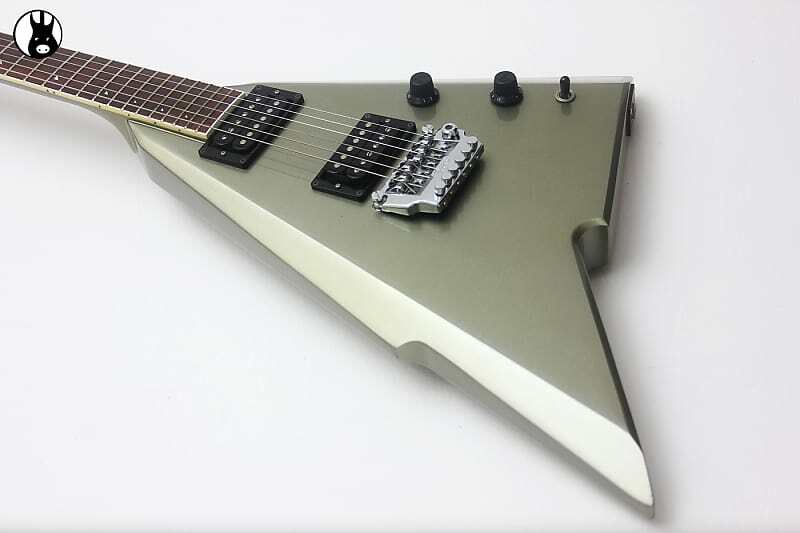 It would just figure that a marketing director would come up with the Katana design. 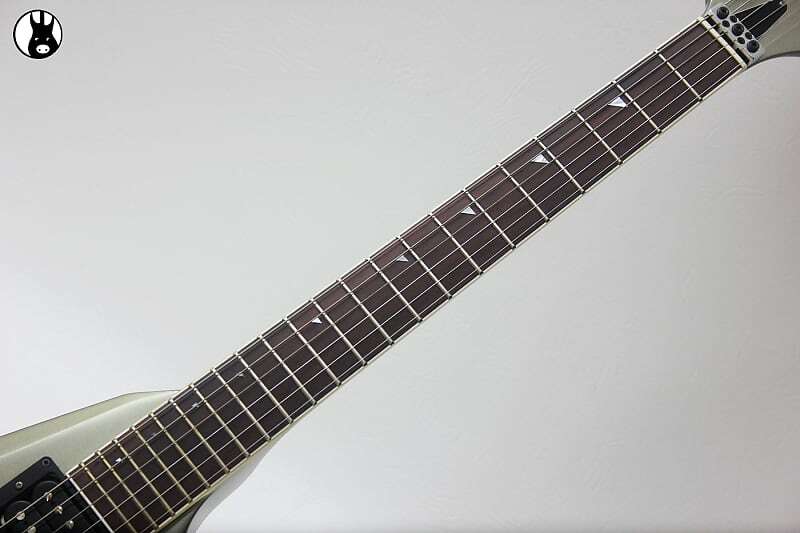 Fender’s Katana has a triangular shaped body with a 24.75” glued-in maple neck. 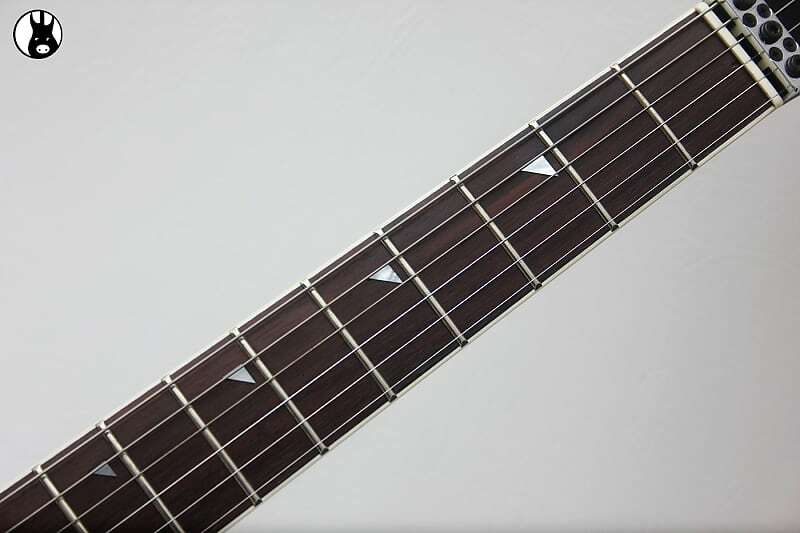 The fretboard is bound and made of rosewood, featuring 22 frets. 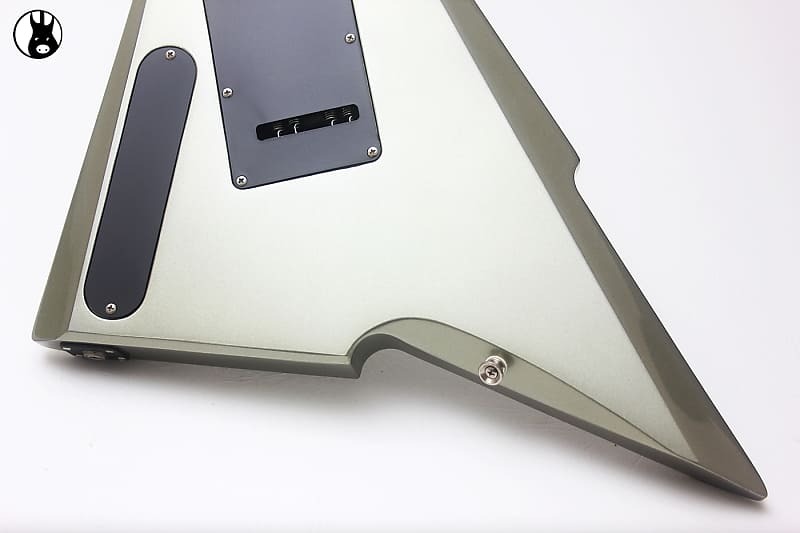 The position markers are unique triangle placed on the lower side of the fretboard. 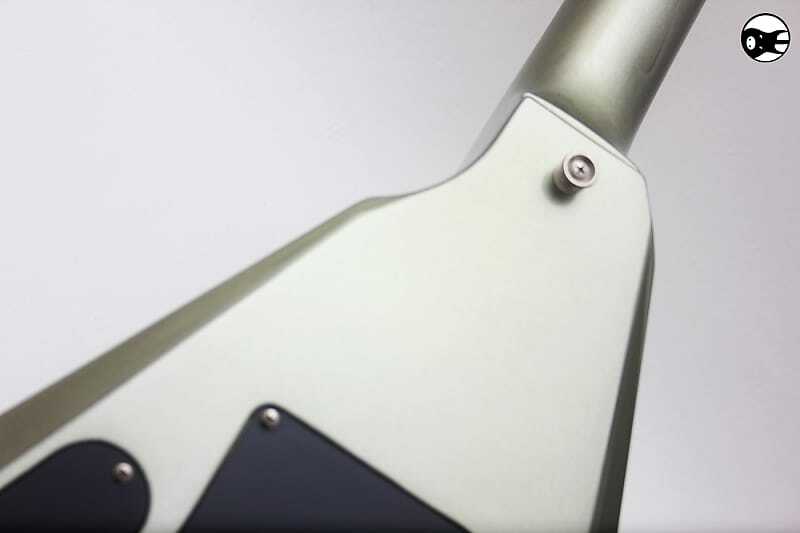 The painted headstock is similar to the arrow-head shape of the Fender Performer. 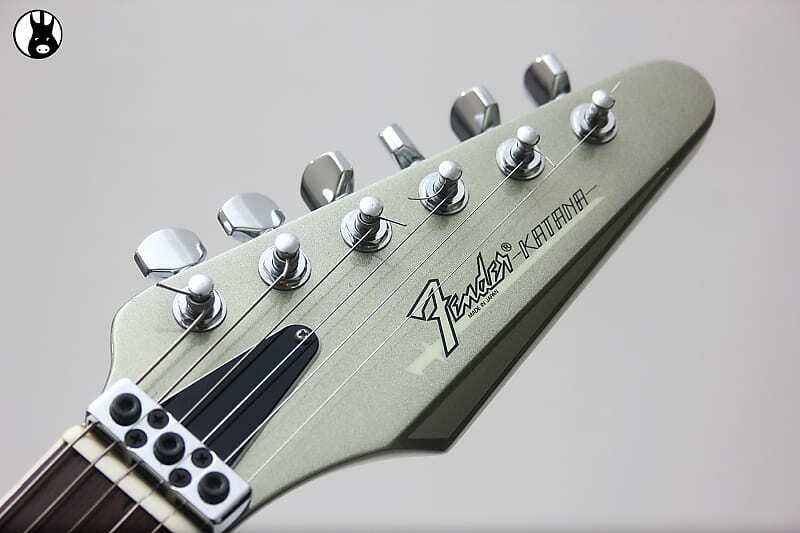 The tuners are deluxe and the headstock also features a truss rod cover, which is quite unusual on any Fender guitar. 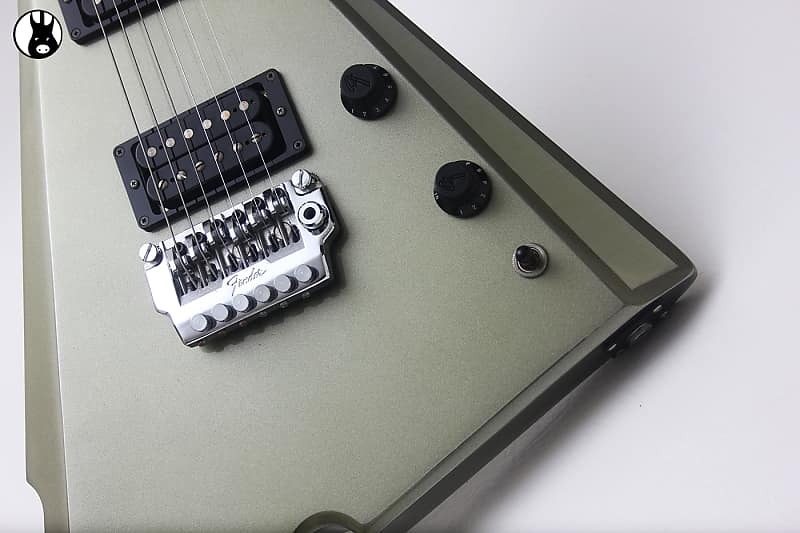 The body features twin coverless humbucking pickups and come with one volume control and one tone control, both of which are speed-knobs. 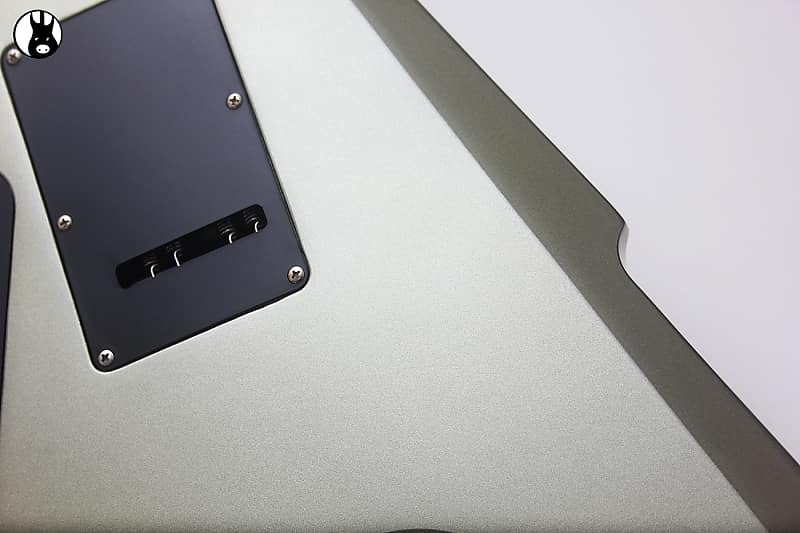 A 3-way switch to control the pickups is placed below the volume and tone controls. 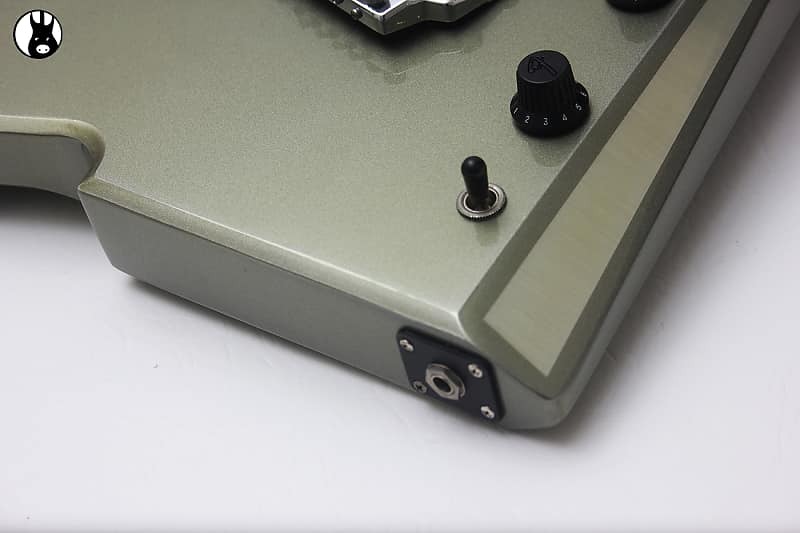 The tone control is similar to the the one on the Performer and features twin capacitors, 250k and 50k with a center dentent. 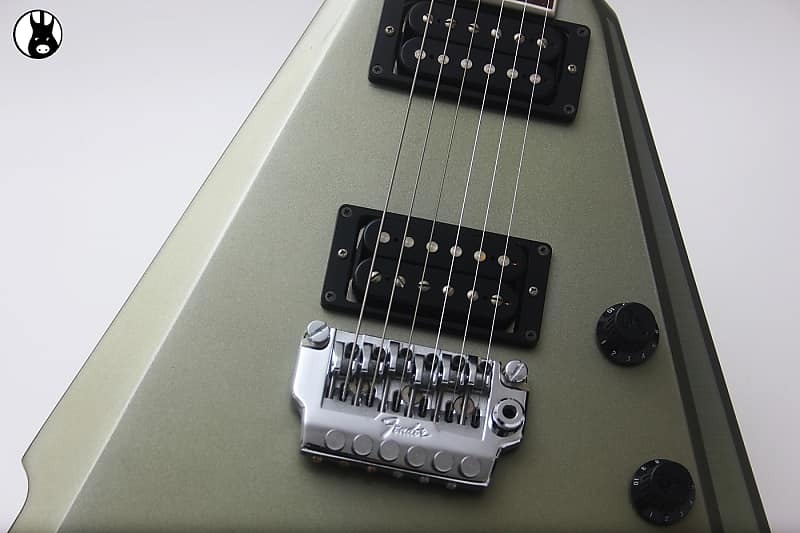 The vibrato/bridge sits on twin pivots. 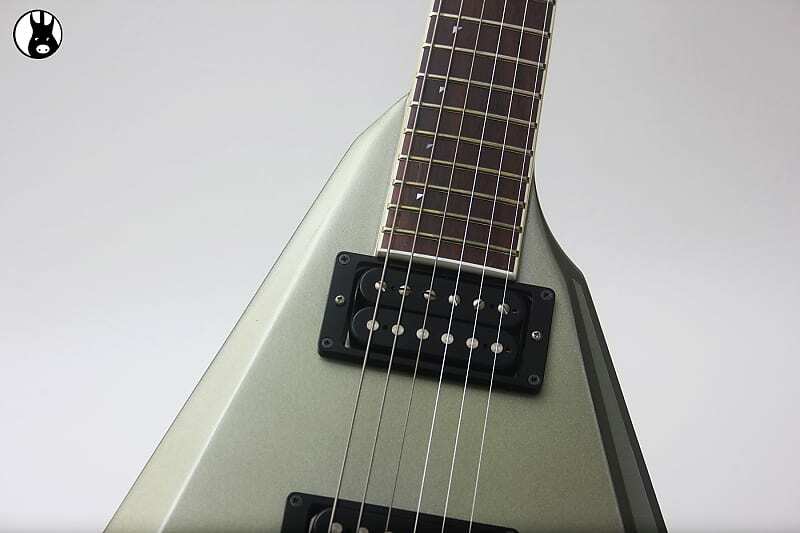 The string clamp behind the nut helps maintain tonality. 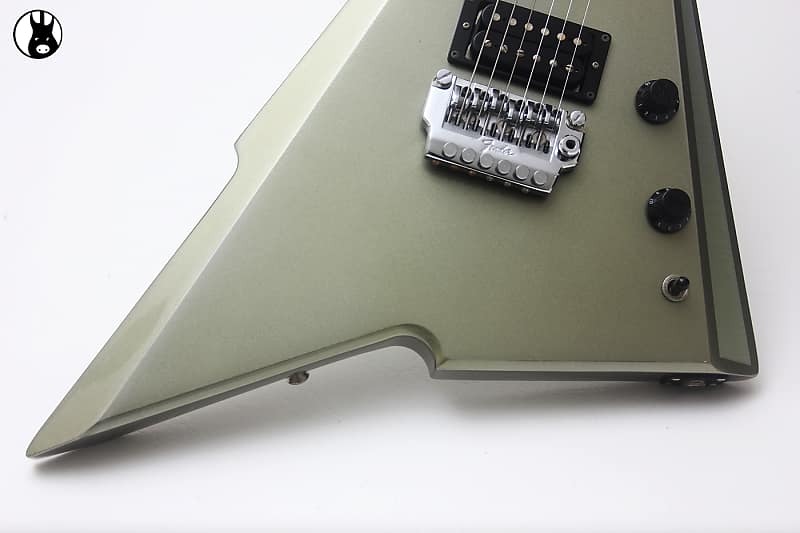 For a guitar that is now 34 years old I can report that this axe has not been played – If it has been played, then it has certainly been extremely well cared for, so that top looks in fine fettle when you give it a more detailed appraisal – It looks out of the box, new, mint, showroom condition. 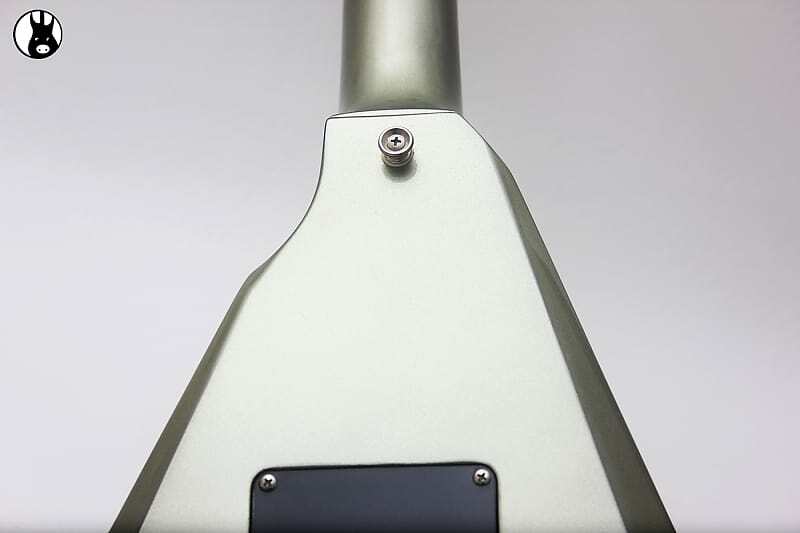 Look on the gloss finish to the top of the guitar and you’ll find no signs of use – Look on the rear and you’ll find not even a hint of play-wear. Certainly no negative issues to report – Barely no sign of wear to the plated bridge. 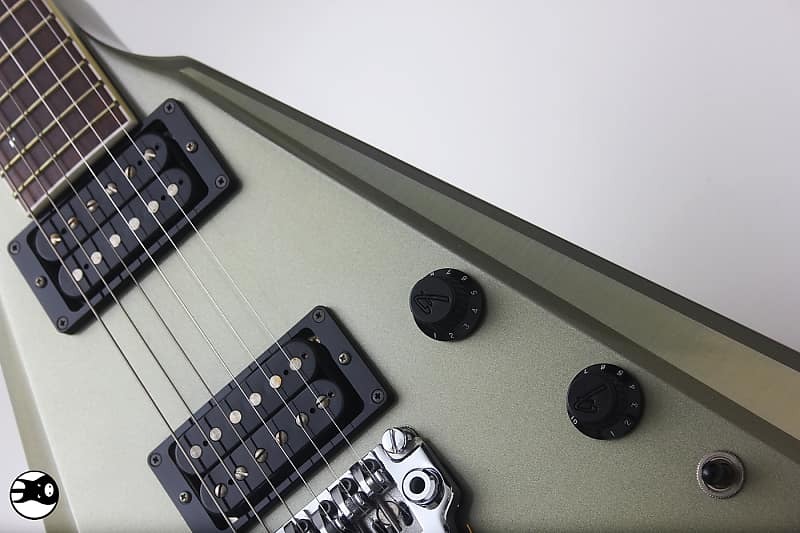 Frets are clean and reflect no use – Re-strung and set-up with a new set of 10’s – Complete with the original Blue interior hard-shell case. fussy collectors will also be intimidating by the condition of this one so grab it whilst you can. Dings, Scratches, other: - Nothing to report. - Please refer to pictures below. UK Mainland. 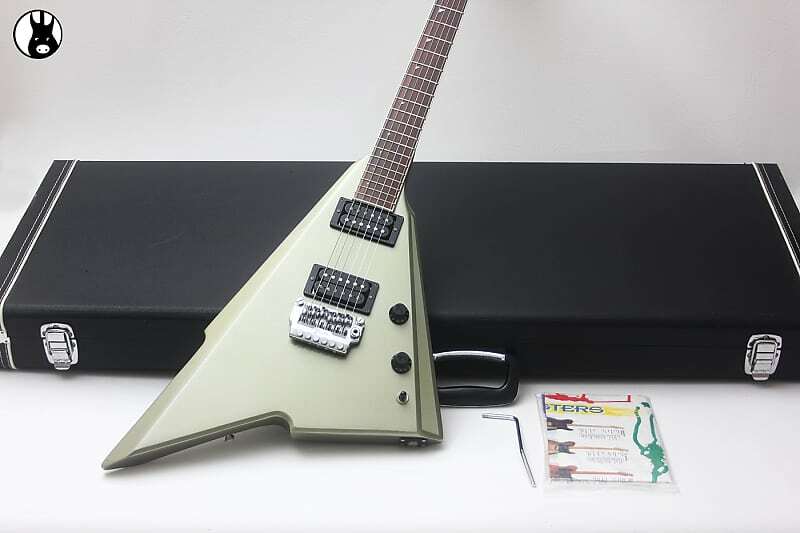 Will be sent Via UPS Standard Priority Tracked 24H Delivery for £20.95 anywhere in the Mainland United KingdomUsing Top Quality Packaging Boxes and Materials. Shipping anywhere Else Outside the United Kingdom will be £49.95 with UPS Global Priority Tracked. 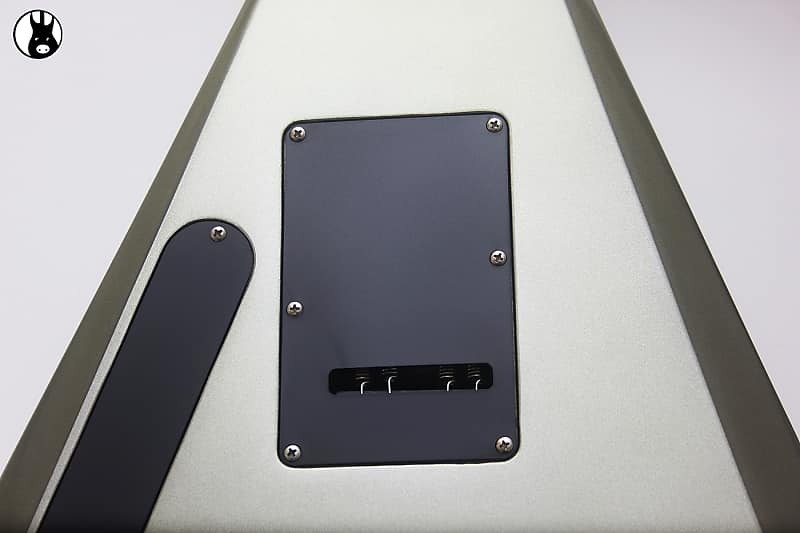 EU Countries- Will be sent Via UPS Express Tracked 3-5 day Delivery for £49.95 anywhere in the EU Using Top Quality Packaging Boxes and Materials. International shipping may be subject to import duties or other taxes. 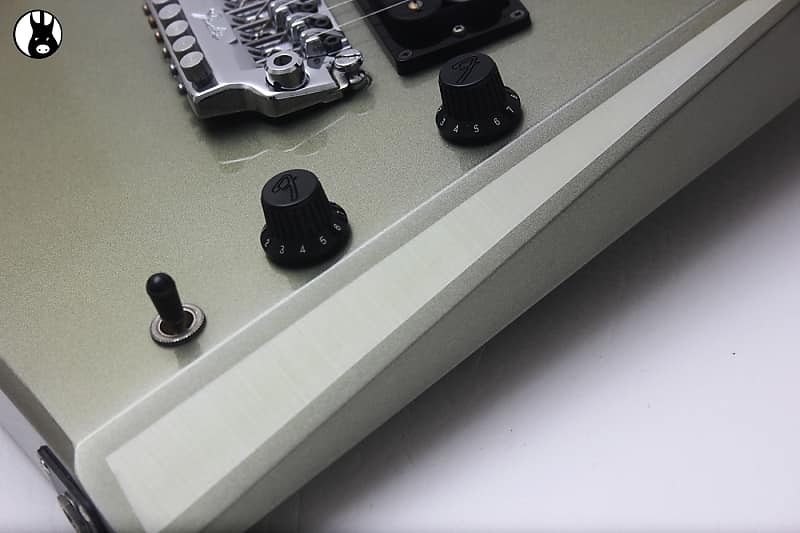 Outside EU- At Squealing Pig Guitars our international customers are very important to us. Not only do we pack our shipments securely in a box to withstand the long journey around the world, we will work with you from start to finish to ensure your shipment arrives safely and to your satisfaction. Shipment Outside the EU Costs £79.95. We normally dispatch your order within 24 hours (Mon-Fri Only). 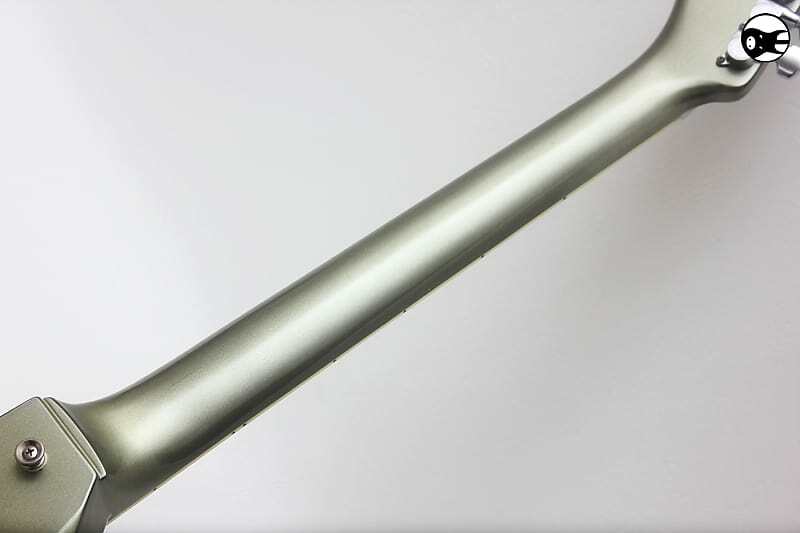 Once your order has been sent we will contact you by email. Your goods will be shipped Via UPS or Fed-Ex and normally take 7-10 days but please allow up to 14 days for delivery in case of Customs Processing.